→What Is OneOpinion? Is It a Scam or Legitimate? Is It Safe? What Is OneOpinion? Is It a Scam or Legitimate? Is It Safe? What Is OneOpinion? About? Is It A Scam or Legitimate Survey Panel? If you want to earn money at home and through the internet, one of the many options nowadays is to join a survey panel. If you don’t know what that is, it’s a website or a program that will provide you different surveys to answer, depending on your interests, and pay you to cash in return. You don’t even have to think too hard on it. Just share your honest thoughts and opinions about a certain product or service and you will be paid afterward. Easy money, right? Well, at least that’s what they claim it is. There are a lot of these so called survey panels these days, and one of the most popular in the world wide web is OneOpinion, found on their website, OneOpinion.com. Just like any other survey panel, you get to earn money just by completing tasks they give you, like participating in various online surveys, mobile surveys, product testing, and teen surveys. But is OneOpinion a legit survey program, or is it merely a scam? Read on to find out. What is OneOpinion and how does it work? By going to OneOpinion’s website, you can join their survey program and start earning money. All you have to do is sign up for an account for free. Yes, for free. They don’t demand that you pay them any amount to be able to join. Unlike other online businesses and marketing schemes, you don’t have to “invest” a huge amount of money for the opportunity to earn it back or gain more. However, you have to take note that membership is only open to those currently residing in the USA, UK, and Canada. You also have to be 13 years old or older. For people under 18, you must have proof of parental consent before signing up. OneOpinion is owned by Critical Mix, that’s actually A+ in Better Business Bureau. Critical Mix is a company create and administer surveys with their own API or CMix system. OneOpinion conducts surveys for businesses, government offices, and other organizations that want to know what the public thinks of their products and services. They let you and all of their members participate in these surveys, and in return, they pay you for it. OneOpinion will not try to alter your opinions and tell you what to say in these surveys. Just stay truthful, share your thoughts on the product or service in question, and earn money for it! Now, how much you are going to earn depends on the length of each survey. It can range from $0.50 to $5. Most surveys will take you approximately 5 to 30 minutes. But before you are able to answer one, you will have to qualify for it first, and this depends entirely on the information that you provide OneOpinion when you sign up. Another task OneOpinion lets its members participate in is product testing. Their partner companies distribute free products for members to test. Sometimes, these products are still not released on the market, so you’re going to get a chance to test a product exclusively before it even hits the shelves. This is so companies and manufacturers get a taste of the consumers’ opinion. And you read that right, they are absolutely free of charge. They are even going to pay you for testing out their products and services. So how do you get paid by OneOpinion? Sorry to burst your bubble, but OneOpinion compensates its members by rewarding them points for each completed survey and product/service tested. You will be paid through PayPal, and 1000 points are equivalent to $1. This is a surprisingly small amount, and you will have to participate in and complete a lot of tasks before you earn that $1. You also have to save these points up in your account on OneOpinion.com until you are able to reach 25,000 points before you can transfer it all to your PayPal account. If you are interested in Prepaid VISA gift cards, though, there is also an option to redeem your points that way. Gift cards, however, will be actual, physical gift cards, so you will have to wait for it in the mail. PayPal payments will be handed out to you within 48 hours of your redemption request, not including the weekends. Based on the information available, OneOpinion does not offer any training sessions. All you need to do to start answering surveys and testing products is to sign up on their website for free, and then answer the questions completely so that they know how to match you up with certain products and services (mostly ones that you are interested in and are available in your region). Then, they will tell you what to do. The only tool that you will need is your OneOpinion account. OneOpinion offers 24/7 member support and great customer service. If you have any questions or stumble upon anything that confuses you in the process of the survey and product testing, you can simply go to the OneOpinion page where you can fill out their contact form, or call the member support hotline. You will immediately be connected to a support representative that will answer all of your queries because they are available 24/7! You can also contact them even before you sign up. This makes OneOpinion a standout because most survey panels on the internet these days do not even offer customer/member support. (+) It is absolutely free to sign up for an account. You don’t have to pay any insane amount of money for an opportunity to earn income online, unlike MLM. (+) You just have to answer surveys and test new products and services for free. (+) You will be matched with certain products and services based on your interests and consumer preferences, so you most likely already have knowledge of what you are going to be surveyed for. (+) They offer different options for point redemption. 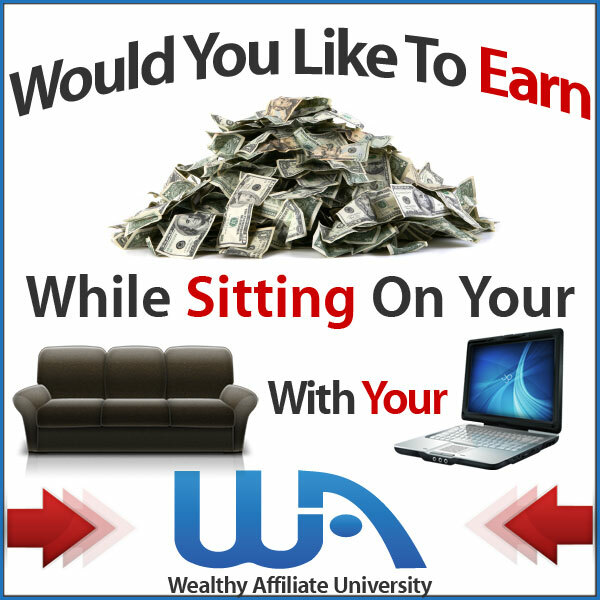 (+) Additional income to boost your income from your referral under you. (-) You have to earn 25,000 points = $25 before you can redeem it for cash. (-) Slow Payment processing. Since they are using Visa Payment method, do expect it might take up to 10 days to reach your bank account. Minus all the negative point from above, I would say OneOpinion did a great job in their Survey Panels. The most important part is they are legitimate and deserve my 8 out of 10 ranking. Consider very good if you would like to earn some money online. There are tons of survey program out there taking these opportunities to copy legitimate survey companies asking you to pay before to join. I saw it a lot. Remember, there is no such things. Survey platform is served as middle man to assist big companies or SME doing the new launch products in their specific critirea. Hence, once the survey completed they get paid for doing the services from these companies. This makes very sense and logic. Survey platform is served as middleman or platform to assist big companies or SME doing the new launch products in their specific criteria. Hence, once the survey completed they get paid for doing the services from these companies. This makes very sense and logic. So do your homework and Do Not Pay anything for survey programs. One Opinion is not a scam dei=finitely. But, Do Not Expect you can earn a living with survey programs. Don’t rely too much on there. Else, you will be having a big time. Perhaps I would say much more into killing your free time instead provided you have the luxury of times. Your time and effort better invested elsewhere. If you were to ask me how to earn a sustainable income from online and is there any possibility? If you are interested in alternative ways to earn money and generate long term passive income, then you should consider in building your own online empire. You should make serious consideration in creating your own online business then. The most powerful and popular way is through an approach called Affiliate Marketing. Affiliate marketing lets you earn money by promoting others companies products that you find is good and works. You are not tied to one product like MLM or Survey Program. You serve as an affiliate marketer serve to promote your products to your audience with your own opinion. From there, You will get rewards or commission from the companies you work with if your audience makes the purchase via you. If you are interested and wanted to know more how I earn a sustainable income from affiliate marketing, click here to know more the exact formula I followed. Do you get excited after reading this? Or any thought and doubt? Do you participate in OneOpinion and have experienced with them? Feel free to leave your words in below comment section. We would like to hear more from you. Last but not least, If you need any help in your online journey please reach out to me personally too. I am more than willing to help you out in your online journey. Together we make it dream happen. Until next time we meet again.